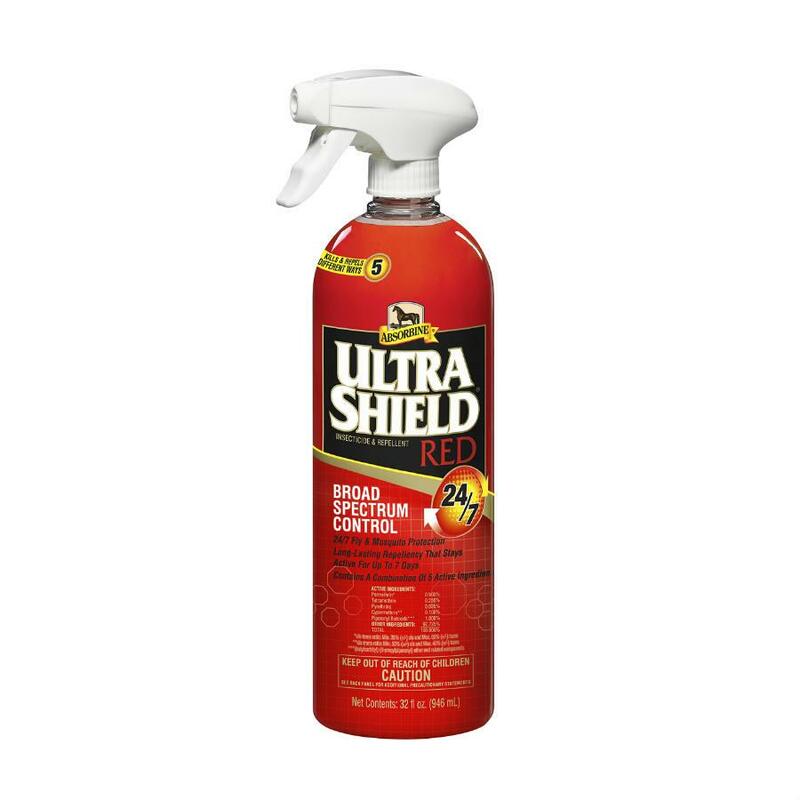 UltraShield® Red features a unique combination of ingredients offering broad-spectrum pest control. 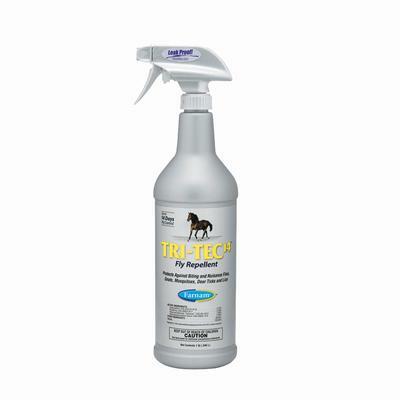 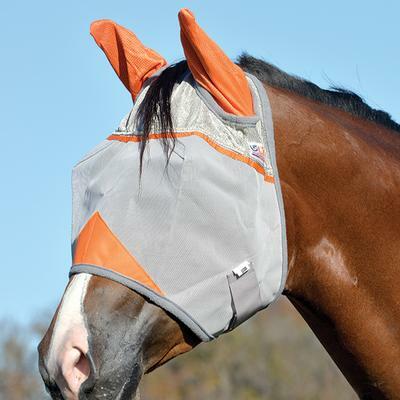 Long-lasting repellency stays active for up to 7 days, so it is ideal for turnout, training and trail ride situations. 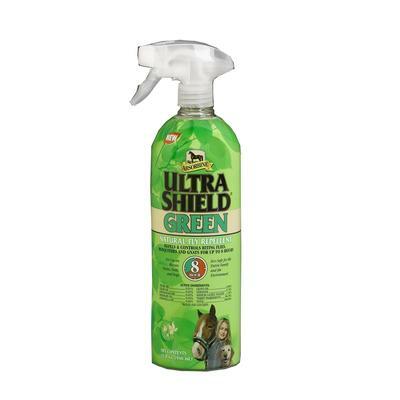 Provides an oil-free shine to the hair coat. Controls flies, ticks, mosquitoes and many other pests: gnats, midges, punkies, no-see-ums, chiggers fleas, even cockroaches and carpenter ants.